Japanese Acupuncture | Shining Mountain Center for Peaceful Childhood, Inc. When I attended Tri-State College of Acupuncture, I was fortunate to be introduced to three different styles of acupuncture. 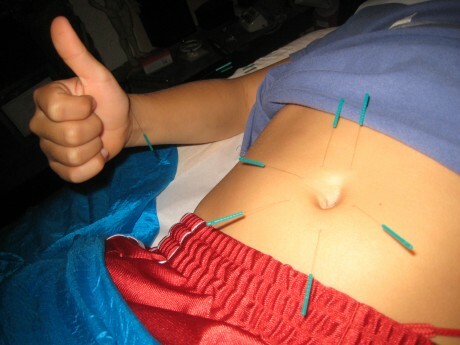 The first time I witnessed Japanese Acupuncture, I knew this style was for me. Since as early as the Edo Period (1602-1868), Japanese acupuncture was a profession practiced largely by the blind. This practice is carried on till today. I witnessed the training for the blind while studying in Japan during the summer of 2009. My teacher, Kiiko Matsumoto learned from Master Nagano, a blind acupuncturist as well as Master Kawai and Dr. Yoshio Manaka. 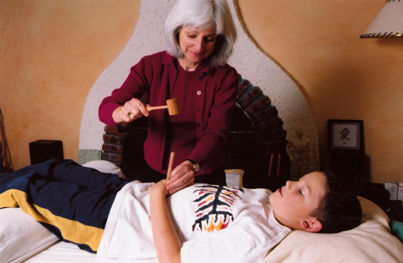 Kiiko Matsumoto Style Acupuncture (KM), has been developed by Kiiko over the past three decades. KM’s style combines Classical Chinese medical principles with modern pathophysiology in a way that facilitates understanding and brings out the best in both. It utilizes a systematic, easy to learn, palpatory method which is designed to provide instant feedback. When using this system, I follow a palpation sequence, which both establishes a diagnosis and suggests several treatment options which might be effective for treating a particular patient. KM’s style uses shallow and virtually painless needless of the smallest gauge available. For those patients, including children, who may not want the needles, this style offers numerous non-invasive techniques that are highly effective. With children I can tap acupuncture points with a little wooden hummer or use diode rings, magnets or ion-pumping cords. The entire time I was coming to the Children’s Center, I resisted the needles. Finally for the graduation I decided to try the acupuncture treatment. To my surprise, the needles don’t hurt at all and they feel much better than when Mariola taps with the wooden hummer. I learned a big lesson about not trying new things. I feel good about myself that I did it!